Great service. I got my oil changed and took about an hour. No pressure, great service, quick and efficient. Absolutely impressed. Made appointment for routine service through the KIA iOS app. Service Advisor Ivon was prepared and expecting me. Service was prompt, and thorough – with full inspection. Car was spotless inside and out when I returned hours later. 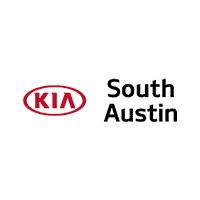 KIA South Austin is impressive with service and sales. These are people who care about the total customer experience. Thanks Ivon and the entire team.